SNEAKERS FANS TAKE NOTE: ALL SALE ITEMS @SUPERGA WILL GO AT $52 FROM 6-9 AUG! You are at:Home»Entertainment»Fashion»SNEAKERS FANS TAKE NOTE: ALL SALE ITEMS @SUPERGA WILL GO AT $52 FROM 6-9 AUG! 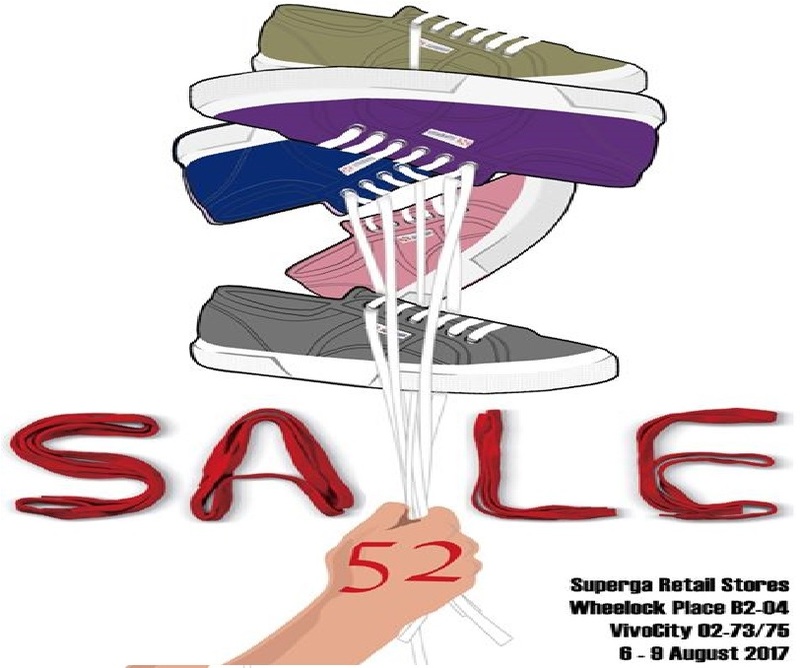 SUPERGA $52 SALE – 6 to 9 August 2017. In celebration of Singapore’s 52nd birthday, all sale items will go at $52. Only at Superga retail stores – Wheelock Place B2-04 and VivoCity 02-73/75. Previous ArticlePRC WOMAN TOLD NETIZEN THERE NO NEED FOR HEATER AS SOUP IS ALREADY SERVED HOT! Next Article NATIONAL DAY PROMO FOR SCOOT 1 ON 1 TO 57 DESTINATIONS!